Scotlands Biggest Dance Festival. 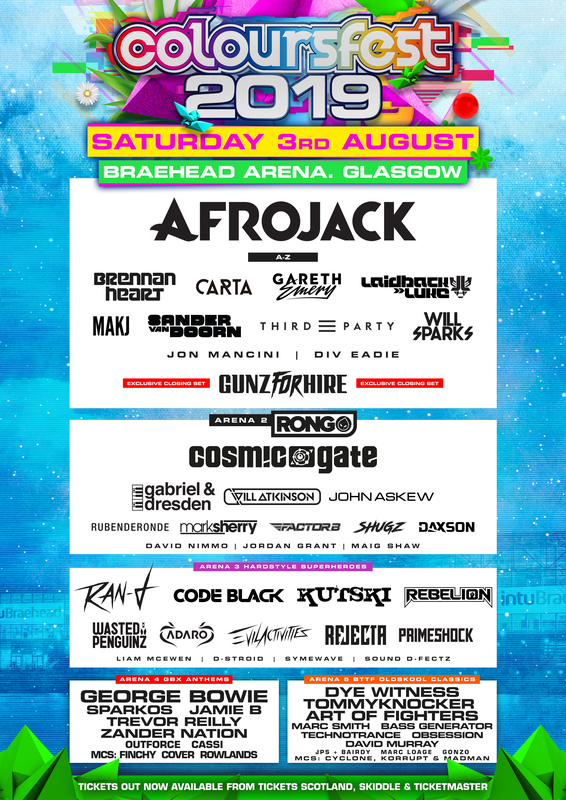 Coloursfest returns to Braehead Arena & Waterfront! Happy Bus are also operating a Glasgow Shuttle service for Coloursfest 2019, departing Buchanan Bus Station at 16:30hrs & 19:00hrs.